Linux isn’t like commercial operating systems. You aren’t limited to one interface. Some options offer imaginative new layouts, while others maintain a more established approach. If you want an experience that has been around the block for a decade or two, then MATE may just be the one for you. A desktop environment contains everything you see on your computer screen. It’s the panels that launch applications, display notifications, and show the time. It’s what manages your windows and allows you to easily switch between them. When you look at a screenshot, it’s all the elements that make you think of Windows as Windows and macOS as macOS. Windows and macOS each only provide one desktop environment. 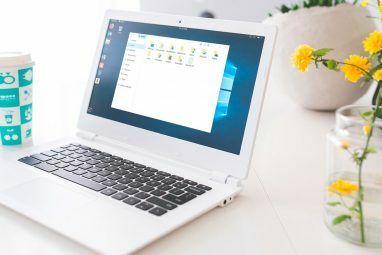 The drastic changes that surround new releases of Windows tend to be related to the desktop environment, such as the removal or addition of the Start Menu and changes to the theme. Windows 8 had an interface catered more to touchscreens than desktops. People who disliked the change couldn’t upgrade to Windows 8 if they wanted to keep the interface they were more comfortable with. On Linux, this isn’t a problem. You can always switch to another desktop environment Which Linux Desktop Environment Best Suits Your Personality? Which Linux Desktop Environment Best Suits Your Personality? What kind of computer user are you? Do you leave icons scattered across your desktop? Do you prefer to work in one uncluttered application? Let's find out which Linux desktop environment suits you best. Read More and continue using the latest Linux software. And if your favorite interface is about to undergo a radical change, MATE is an example of how that doesn’t mean you have to say goodbye to what’s familiar. MATE is based on GNOME, one of the most popular desktop environments for free and open source operating systems GNOME Explained: A Look at One of Linux's Most Popular Desktops GNOME Explained: A Look at One of Linux's Most Popular Desktops You're interested in Linux, and you've come across "GNOME", an acronym for GNU Network Object Model Environment. GNOME is one of the most popular open source interfaces, but what does that mean? Read More like Linux. Though, to say MATE is based on GNOME is an understatement. MATE was born as a continuation of GNOME 2 after GNOME 3 was released in 2011. The split happened because GNOME 3 introduced a new interface called the GNOME Shell, which departed from the traditional desktop design GNOME 3 Beta - Welcome To Your New Linux Desktop GNOME 3 Beta - Welcome To Your New Linux Desktop Read More . Since the project was open source, developers not happy with the change were free to take the existing GNOME 2 code and continue working on that instead. Doing this is called “forking” a project. An Arch Linux user called Perberos started the MATE project, with others quickly jumping on board. While many Linux operating systems have embraced GNOME 3, MATE has attracted many users over the past half decade. Some of them started using Linux years after the split from GNOME. That means they’re using MATE for reasons other than a resistance to change. Quite a few consider it among the most stable and versatile experiences Linux has to offer. GNOME 2.0 launched in 2002. Thanks to the MATE project, this particular generation of GNOME has been going strong for a decade and a half. Windows and macOS function differently, but both depend on one panel. Windows has one across the bottom, and macOS has one across the top. In MATE, there’s a panel both at the bottom and the top of the screen. Unlike default GNOME, MATE lets you save applications and files to the desktop. A trash can icon in the corner of the bottom panel gives you quick access to your deleted files. You can also use this area of the screen to switch between virtual desktops. Out of the box, users can make substantial tweaks to the interface. Basics include changing the theme, adjusting fonts, and altering application toolbars. You can go further by creating more panels or adding applets to the ones you already have, such as a dictionary widget or an investment tracker. Want to give MATE a try? You can use MATE by installing a Linux operating system that has it built-in. Alternatively, you can download it for your current Linux OS. Once you’ve done this, restart your computer, and at the login screen, click the current desktop icon on the panel. From here you can switch from your current desktop environment to MATE. If you used a GNOME-based Linux operating system seven years ago, you know how MATE looks and feels. Firing up Ubuntu MATE today feels like launching a green-themed version of Ubuntu 10.10. That’s not to say that no work has gone into MATE since then, but in the latest version at the time of writing, the headline feature is the complete switch of all applications and components from GTK2+ to GTK3+. That means MATE now fully uses the same toolkit GNOME introduced as part of the move to version 3.0 six years ago. To a certain extent, this can’t be helped. The MATE community has a fairly conservative manifesto — to keep the traditional GNOME 2 desktop alive while maintaining compatibility with new technologies. In other words, MATE users will have to wait to integrate libraries and features that are often developed with other environments in mind. If you want to live on the bleeding edge of open source software, you may want to look elsewhere 5 Linux Operating Systems That Offer Bleeding Edge Updates 5 Linux Operating Systems That Offer Bleeding Edge Updates A system that's always improving and updating has its benefits, e.g. gains in speed and security. 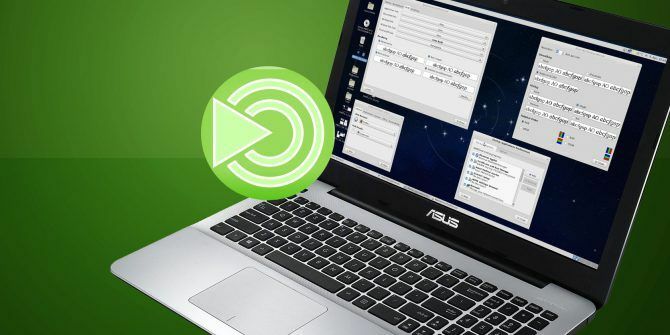 If you're ready to try bleeding edge Linux, here are some operating systems to consider. Read More . There’s a reason MATE is gaining new users. The interface is pretty straightforward. If you like the Windows XP and earlier era of computers, this will feel right at home. There are some animations, but they’re all subtle. You won’t find any of the moving windows that irk some people when they first use the latest version of GNOME. MATE also uses fewer resources than some of the more modern alternatives, meaning it works great on aging hardware. It’s one of a handful of desktop environments we would recommend specifically for that purpose The Best Lean Linux Desktop Environment: LXDE Vs Xfce Vs MATE The Best Lean Linux Desktop Environment: LXDE Vs Xfce Vs MATE On a fresh Linux installation, there's not much you can do to speed things up, other than look at your choice of desktop environment. Here we look at three options: LXDE, Xfce, and MATE. Read More . MATE is an ideal option for people who don’t want their computing experience to change anytime soon. The interface isn’t all that different from what it was like five years ago, and it will likely feel similar, if not the same, five years from now. It’s not unlike Xfce in that regard Xfce Explained: A Look at One of Linux's Speediest Desktops Xfce Explained: A Look at One of Linux's Speediest Desktops If you've recently switched to Linux and are finding things a bit slow going, you probably need a lighter desktop environment. One good option is Xfce. Read More . If you like Xfce, there’s a decent chance you would also like MATE, and vice versa. Have you used MATE? What do you think of it? Are you happy with the way things are going? Let us know in the comments! I find that the DE or WM that we use on a regular basis very often is the one we used with our first Linux distro. If you ask people whether they have used other DEs/WMs so they can compare them, most often they will answer "Yeah, I used so-and-so for a couple of days but couldn't make heads or tails out of it so I went back to my old one." That's similar to what many Windows users say about using Linux. Once can no more make an informed choice between DEs based on couple of days of use then one can make a choice between O/Ss or between distributions based on a couple of days of use. One should use a DE exclusively for at least couple of months to learn its intricacies and quirks and to get somewhat comfortable with it before attempting a comparison. When I switched from Windows to Linux, just by chance all the distros I tried had KDE desktop. I got use to it. When I tried my first distro with GNOME desktop, it was a disquieting experience. Sort of like the first few weeks at college seem after high school. Things were the same but somehow different. The one 'feature' that I found/find annoying about GNOME/MATE in comparison to KDE is the Desktop Settings. In KDE I click on Configure Your Desktop (or something similar) and am presented with a screen from which I can change most of my preferences. In GNOME/MATE I click on Preferences and am presented with a list. I then have to click on each specific preference to change it and then go back to the Preferences Menu in order to change another one. The GNOME/MATE way seems so tedious but that is, I guess, because I am not used to it. Why the hell in 21st century with CPUs capable of running multi threaded applications is the gnome shell running single. It reminds me of Android in its early days. 2 years ago when I first switched to Linux. Picked Mint Mate as my first and only distro. It has been easy to work with and very reliable. I highly recommend it. Any Mate desktop will be easy for a new user.